Posted on August 14, 2017 by Katrina C.
Microbreweries are all the rage these days with franchises opening up in quaint little towns across the country. Here in the Pacific NW, you will see crowds of people swarming to grab a quick bite to eat and a cold refreshment on their way home from work or with a group of friends on weekends. These new little off-the-wall establishments have taken the place of local watering holes by offering a classy way to unwind at the end of the day. So why this sudden increase of obsession in microbrew venues? As the saying goes, “variety is the spice of life” and to pique the interest of the masses, new trends in adult beverages have found creative ways to make this a reality. What differentiates the bar scene from the beer and wine bistro atmosphere is the absence of hard alcohol. While this encourages a more casual and laid back drinker, many craft breweries have been limited to a simple variety of beers alone. I’m a beer lover myself, and while the urban-rustic vibe may be enticing, many of my girlfriends and even their ‘gluten free’ counterparts would turn their noses up at those hoppy beer choices. It didn’t take microbreweries long to catch on too. By incorporating a new line of hard ciders; they found ways to appease the masses and offer a more colorful assortment of adult beverages. 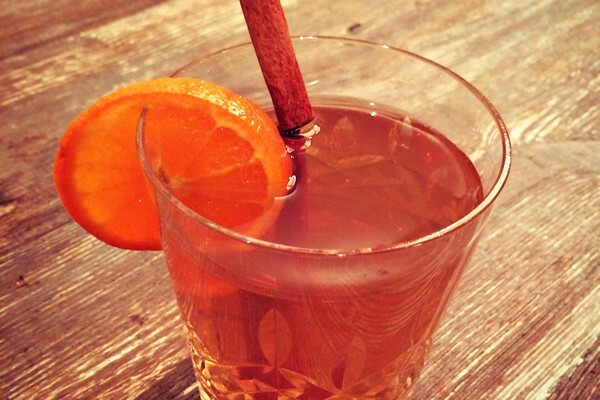 Color plays a significant role in consumer choice, and hard apple cider color is no exception. In fact, this fruit-based refreshment offers more flexibility in color choices than both beer and wine combined. Since the base color in hard apple cider is the starting point for many new flavors and color options, thanks to its light color and crisp fresh taste, adding other ingredients to this formula is a simple and easy way to increase the variety of adult cider options. 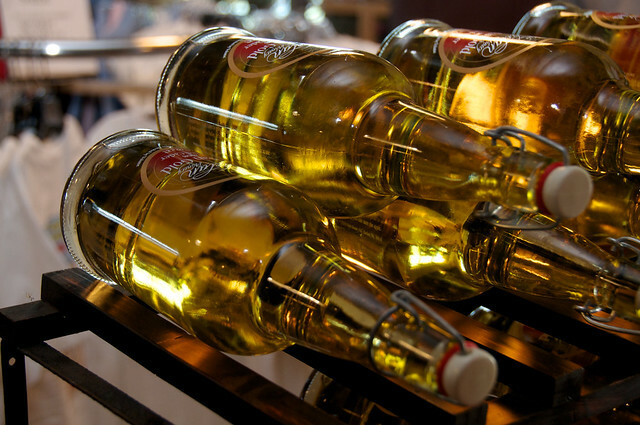 Hard apple cider color alone is the base of many name brand hard cider beer labels. Popular choices such as “Gold Apple Hard Cider” by Strongbow brewing company or Woodchuck Brewing’s signature craft flavor “Woodchuck Amber”1 use color terminology in their labels to encourage visual preference and appeal. Of course, visualization through brand name alone is not enough to solidify color acceptance and recognition. Actual beverage color itself is what inevitably entices consumers and provides the basis for taste perception. In fact, taste perception and color are so strongly related that many leading beverage producers rely on instrumental analysis of color to ensure brand name success. Hard apple cider color varies dramatically due to a variety of changes that occur throughout processing. From the color and variety of apples used as raw ingredients to the color changes caused throughout fermentation and processing, monitoring color quality through production is essential for creating a favorable color outcome. Competitive hard cider corporations understand that quality ingredients are the first step in producing marketable beverages. Raw ingredients are carefully inspected and analyzed for color quality using advanced spectral technologies. Spectrophotometers are a preferred choice in color analysis due to their high level of accuracy and ease of use. The simplicity of design allows for quick and reliable data measurement, which can be stored and used to develop a color standard for quality ingredients. Many spectrophotometers also offer the versatility to measure changes throughout production, especially as consistency and clarity shift throughout the fermentation process. 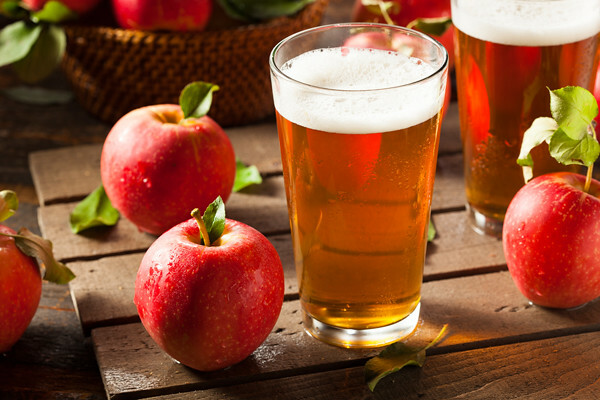 Additives are another way cider manufacturers alter the color or prevent darkening2. Therefore, the color must be carefully monitored during throughout steps to ensure consistency and desired results. Spectrophotometers are a preferred tool for the color assessment of commercial beverages. As hard apple cider production continues to increase and the market grows, color assessment becomes more important than ever for cultivating consumer acceptance. Choosing the right instrumentation and knowing how to use it it’s the first step toward improving product quality and color consistency. Like many beverages, hard ciders are produced in a wide array of colors and consistencies. From transparent to more translucent and/or cloudy in appearance, each sample requires different instrumentation and measurement techniques based upon these various attributes. Transparent Liquids—Beverages with very low or zero solid content allow light to pass through with minimal or no interference. Without reflection of light, these samples can only be measured accurately with transmission instrumentation. Translucent Liquids—Liquids with medium solid content diffuse light as it passes through the sample. Using both reflective and transmittance measurement modes is appropriate depending on the translucency of the sample. Defining the appropriate path length depends on consumer perception, which can be determined by the thickness of the sample and where light enters and exits. At HunterLab, we specialize in the color measurement of liquid samples. That is why many leading beverage companies have come to trust our instrumentation for all their color measurement needs. We offer the support, knowledge, and experience needed to help you stay competitive in the growing market of crafted hard ciders. To learn more about our products and what we have to offer, contact us today.